I’ve been desiring a few new pens lately, so I have been snooping around eBay, Amazon, and Aliexpress. Last year, I have made a list of the top 10 bestselling fountain pens on Amazon. 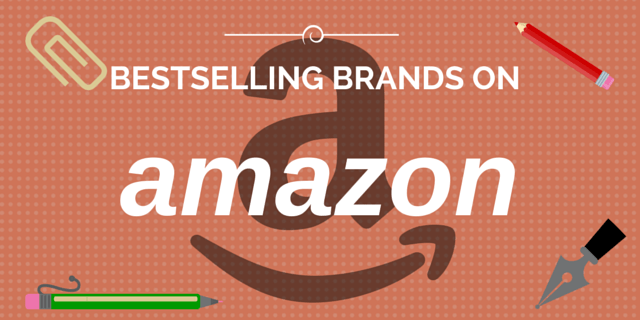 Amazon releases a bestsellers list for each product category every hour. As fountain pens are a relatively niche product category, I did not expect the bestseller list to change that frequently, which is why I am only doing a follow-up of it only now. Last year, we saw a number of familiar pens in the top 10 list, such as the Lamy Safari, Jinhao 250, and Pilot Varsity. This year, the top pens still did not change much from the last, so I did a count of the number of times a brand name appeared in the top 100 list of fountain pens on Amazon, to find out which were the bestselling fountain pen brands on Amazon. Coming in 3rd on the list is the Jinhao fountain pen brand. Out of 100 bestsellers, Jinhao products take up 21%. Jinhao originates from China and produces a number of good quality fountain pens. Some of their fountain pens, with their low price point, can even be afforded in place of a Starbucks coffee or a sandwich lunch. 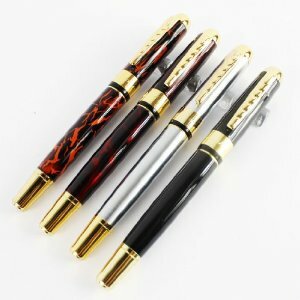 An example of a bestselling item is the Jinhao 250 set of 4 fountain pens, which cost only about 8 USD on Amazon! Another popular fountain pen is the Jinhao 159, which is a huge oversized fountain pen which I own too, but haven’t gotten down to reviewing it before. The nice thing about Chinese fountain pens, especially from established brands like Jinhao, Hero, and Baoer, is that they actually write pretty well. The nibs are smooth and the ink flows well. However, you would be able to notice a quality difference in the overall makeup of the pen. But for such low prices, one can’t ask for much! Pilot is a Japanese fountain pen brand well-known for its high quality, well-designed pens. They produce not only fountain pens, but also a variety of other stationery products. Pilot came in second, and out of 100 bestsellers, 26% are Pilot products. Despite the number of high quality, high-end fountain pens that Pilot produces, the products that are often seen on the bestsellers list are mainly the Pilot Varsity fountain pens. Pilot Varsity pens are meant to be disposable fountain pens, but PenInkCillin has shown that they can actually be refilled! Time to save the earth by reducing the number of pens to be disposed! The Pilot Varsity is a very good beginner’s fountain pen. It’s just too bad that it cannot be found in Singapore anymore (as far as I’m aware of, at least). I had to buy my own Varsity pack from Amazon myself (check out my review of the pen here). While it can be understood that people probably don’t usually buy expensive fountain pens online, I’ve noticed a couple of mid-range Pilot pens such as the Pilot Namiki Falcon on the bestseller list. Read my review of the writing experience of the Falcon nib, both in the original form and with a Spencerian modification. Lamy tops the list ahead of Pilot just by a very narrow margin. Out of 100 bestsellers, Lamy occupied 28% of the pack. Renowned for its Bauhaus-inspired design style, it is a popular brand of which the products can be found in almost every stationery store in Singapore. In particular, most of the Lamy products on the Amazon bestseller list are the Lamy Safaris (in a huge variety of colours), and the Charcoal Black version seemed to be the most popular one. Lamy’s flagship pen is the Lamy 2000, which is a very good mid-tier fountain pen to have. It was one of the bestsellers on the list too, although not high up in rank. The Lamy 2000 made me rather excited and I have reviewed it before. 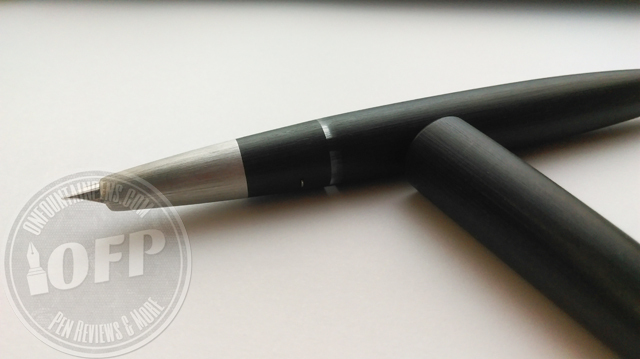 It’s a good, sturdy pen, with a beautiful sleek design and uses a piston-filling mechanism. Check out my review of it here. Did you expect the results to be as expected? Or did you think that there should have been a better-selling brand? What? They can be found at most populars too! Wow, really! I should check them out.